3.3 out of 5 based on 17 bloggers and 1 commenters. 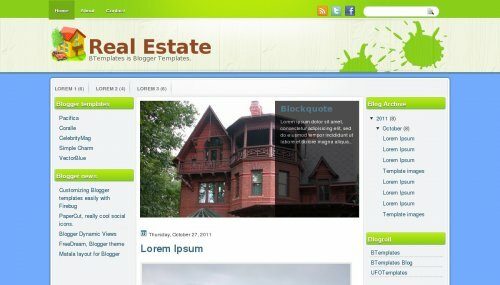 Real Estate is a free blogger template with 2 columns, right sidebar, rounded corners, an exclusive design for Blogger, slider and social bookmarking icons. Excellent template for blogs about art or home and decoration. do you have more template for agen real estate ?